The ideal time is six months after your child’s first (primary) teeth erupt. This time frame is a perfect opportunity for the dentist to carefully examine the development of your child’s mouth. Because dental problems often start early, the sooner the visit the better. To safeguard against problems such as baby bottle tooth decay, teething irritations, gum disease, and prolonged thumb-sucking, the dentist can provide or recommend special preventive care. Before the visit, ask the dentist about the procedures of the first appointment so there are no surprises. Plan a course of action for either reaction your child may exhibit–cooperative or non-cooperative. Very young children may be fussy and not sit still. Talk to your child about what to expect, and build excitement as well as understanding about the upcoming visit. Bring with you to the appointment any records of your child’s complete medical history. Many first visits are nothing more than introductory icebreakers to acquaint your child with the dentist and the practice. If the child is frightened, uncomfortable or non-cooperative, a rescheduling may be necessary. Patience and calm on the part of the parent and reassuring communication with your child are very important in these instances. Short, successive visits are meant to build the child’s trust in the dentist and the dental office, and can prove invaluable if your child needs to be treated later for any dental problem. The dentist should be able to answer any questions you have and try to make you and your child feel comfortable throughout the visit. The entire dental team and the office should provide a relaxed, non-threatening environment for your child. Children, like adults, should see the dentist every six months. Some dentists may schedule interim visits for every 3 months when the child is very young to build up a comfort and confidence level, or to treat a developing problem. How do I find a good dentist for my child? Many general dentists treat children. If yours does not, ask for a referral to a good dentist in your area. 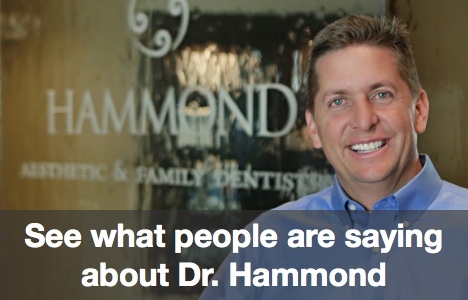 A word-of-mouth recommendation from a friend or family member can also yield the name of a quality dentist. Parents typically provide oral hygiene care until the child is old enough to take personal responsibility for the daily dental health routine of brushing and flossing. A proper regimen of home preventive care is important from the day your child is born. As soon as the first teeth come in, begin brushing them with a small, soft-bristled toothbrush and a pea-sized dab of fluoride toothpaste. Remember, most children are also getting fluoride from the community water supply. Help a young child brush at night–the most important time to brush, due to lower salivary flow and higher susceptibility to cavities and plaque. Perhaps let the child brush their teeth first to build self-confidence, then the parent can follow up to ensure that all plaque is removed. Usually by age 5 or so, the child can learn to brush his or her own teeth with proper parental instruction. Sources: Peter G. Sturm, DDS, MAGD, Cranbury, NJ; Kevin Boyd, DDS, University of Chicago; Mario Gildone, DDS, Reno, NV; June Owens, DDS, MScD, Nashville, TN; B.J. Mistry, DDS, Tarrytown, NY; Allan R. Pike, DDS, MS, Portland, OR; American Academy of Pediatric Dentistry.